A recipe in the New York Times last week caught each of our attention, but we never got around to mentioning it to each other, there were too many other things going on. This morning CH had some soaked chickpeas she hoped to cook for lunch today and started telling MH about a recipe she’d recently seen for chickpeas and coconut milk. MH practically finished CH’s sentence, saying she’d seen it too and was dying to make it. 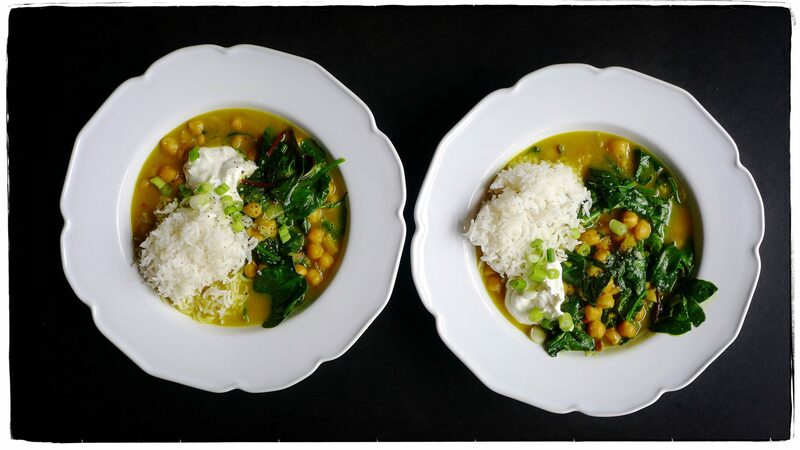 So we did, and send thanks to Alison Roman for her Spiced Chickpea Stew with Coconut and Turmeric. Simply delicious.